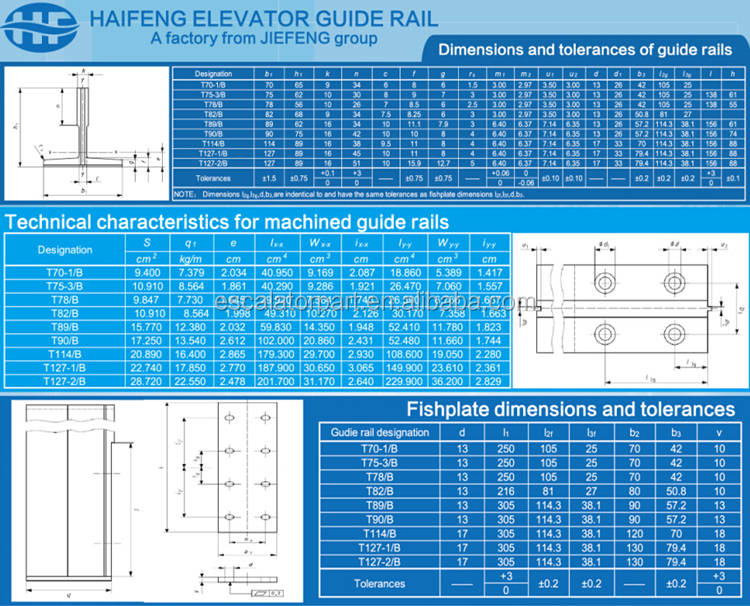 Jiefeng elevator and escalator is a manufacturer to produce elevator guide rail.We passed ISO 9001:2008 and CE. 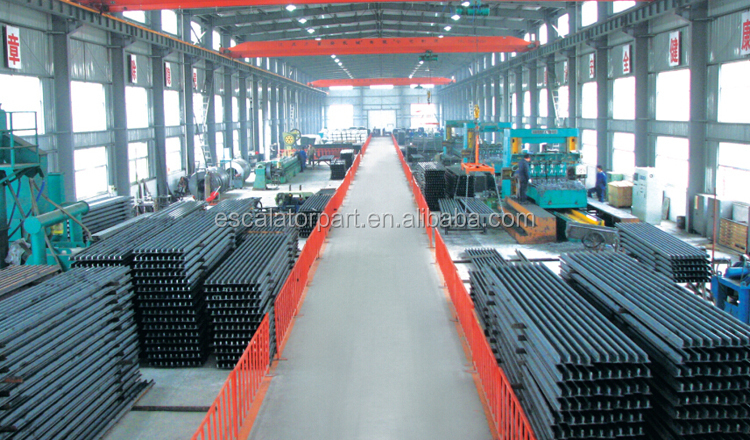 We have a factory over 30,000m² every year supply over 40,000 tons elevator guide rail for market.Our guide rail have approved by many big elevator factories in china and also export to Poland,Italy,Turkey,Czech,Argentina,USA, Thailand etc..We have over 8 years elevator guide rail production experience and 6 years export experience. 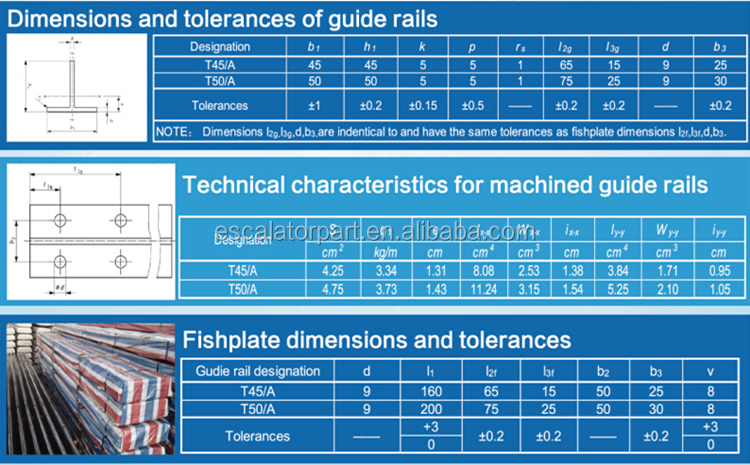 Jiefeng mainly produce T45/A, T50/A, T70/A, T70-1/B, T75-3/B, T82/B, T78/B (8K), T89/B (13K), T90/B, T114/B (18K), T127-1/B, T127-2B(24K) ,T140-1/B(30K), TK5A (5K), TK3A (3K). 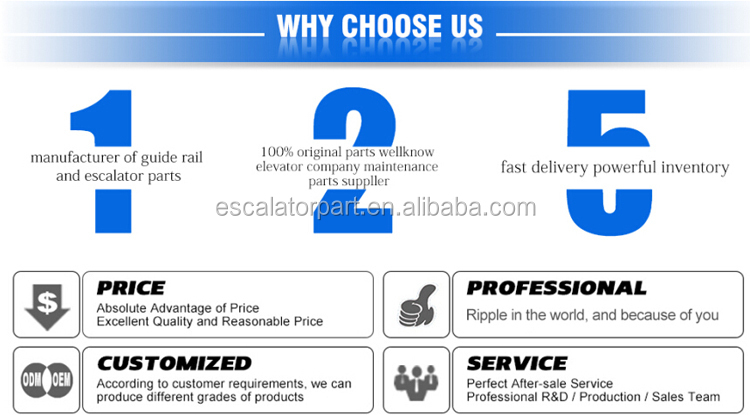 Jiefeng Elevator and Escalator supply customer best package service free of charge.Jiefeng attach too much importance to package.You can think if the products was broken when you receive you can think what is problem you will come?Your project will be delay and the bother between you and supplier etc..Jiefeng try to avoid that for you. Q1:Can I have a sample for testing? 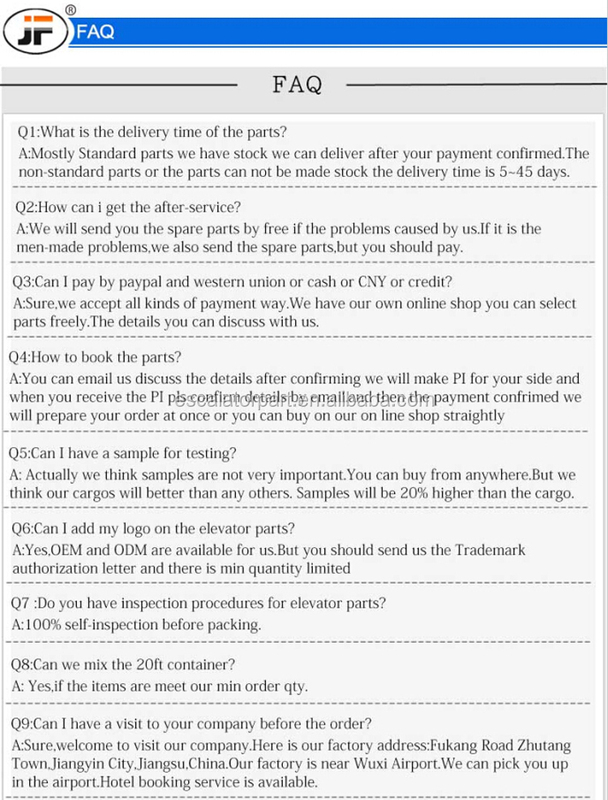 A: Actually we think samples are not very important.You can buy from anywhere.But we think our cargos will better than any others. Samples will be 20% higher than the cargo. Q2:Can I add my logo on the elevator parts? Q3:How can i get the after-service? A:We will send you the spare parts by free if the problems caused by us. Q4 :Do you have inspection procedures for elevator parts? 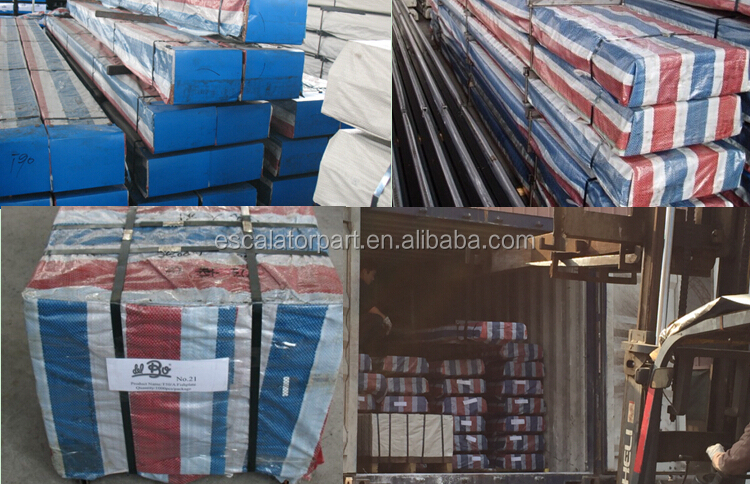 Q5:Can we mix the 20ft container? Q6:Can I have a visit to your company before the order? 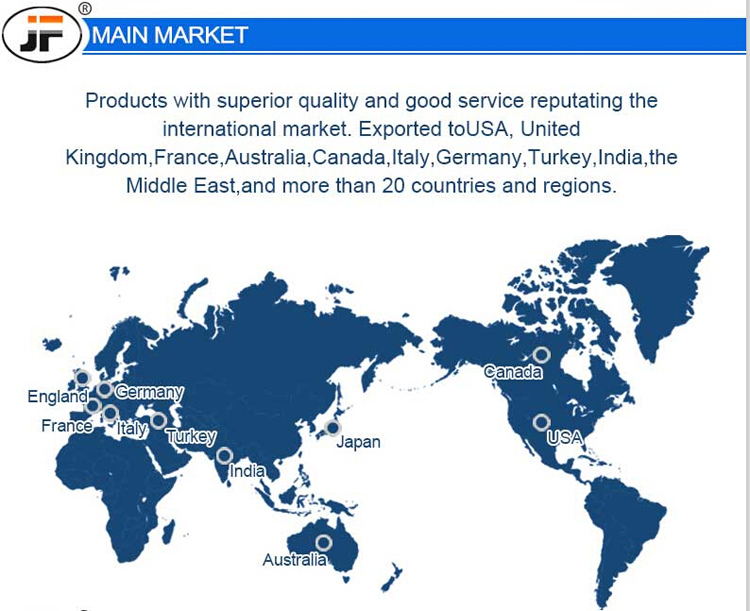 Here is our factory address:Fukang Road Zhutang Town,Jiangyin City,Jiangsu,China. 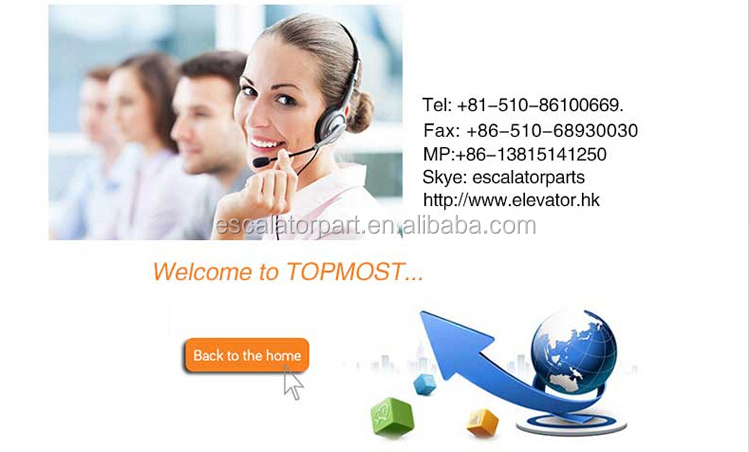 Our factory is near Wuxi Airport.We can pick you up in the airport. Q7:Can I pay by paypal and western union or cash or CNY or credit? Q8:What is the delivery time of the parts? Q9:How to book the parts?